10 months mot, loads of history, cambelt and clutch done recently, sat nav, Bluetooth, just had 2 front tyres brake pads all round and 2 rear shockers, and 2x drop links today, drives very well, clean and tidy car, tow at, aircon, 4 x electric windows, last owner 5 years, hpi clear, vosa mileage, part exchange and test drive welcome.. The W8 is also fitted with a full Vortex body kit from new, this is a very rare and the kits alone have sold for as much as £1500 ! The wing mirrors fold in at the touch of a button and the passenger side also tilts down when reverse. 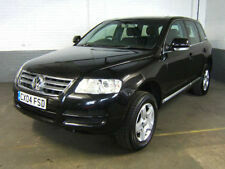 New listingVW Touareg 3.0 tdi Altitude FSH 2009 NO RESERVE! VW Touareg 3.0 TDI Altitude. Full Service History, All VW Manuals. Upgraded VW Alloy Wheels, New tyres all round last year. No Reserve! V5 Present, Only Two Owners, Two Keys. Spare wheel and tools never used. Volkswagen Passat SE Bluemotion Tech TDI 161000 miles 1 previous owner. Volkswagen Passat Estate. air conditioning, tyre pressure monitoring system, central locking, electric windows, 2 previous owners, 2 keys, New heavy duty battery fitted 2018, New front brake calipers/discs/pads fitted 2019. Volkswagen Touareg 3.0 V6 TDi Altitude 2007. Top spec being the Altitude model. Recently bought for the wife but has decided it is too big for her. Had engine rebuild 20,000 mile ago due to engine fault. Pd130 Passat 54 plate. air box filter. new cabin filter. New starter motor and alternator and belt done 2017. Timing belt and water pump etc done 32k ago. I’m the 4th keeper from new miles or 275k but don’t let that put you off these engines or bulletproof. The VW has been great fun and an amazingly versatile vehicle. We have loved driving it. We really enjoyed the comfort (heated leather seats etc), performance, lugging capacity, ease of use and helpful knic knacs like extra 12v power sockets in the boot and CD changer. The interior is in need of a good clean, there are couple of fag burns courtesy of the previous owner, no rear head rests & central locking to rear doors is unplugged as the solenoids need replacing. Vw t4 I have for sale. Had cambelts and water pump service in May 2018. Only covered 3000m since 195k Miles now on the clock, mot to sept 2019. This is the rare and sought after 9 seater long wheel base model with twin sliding doors. Here's a great opportunity to buy a cracking example of a now thin on the ground MK4 golf estate. Pretty much every extra one could have on a mk4 golf. Quoted £120 for the rack along with 4hrs labour to complete the job. MOT FAILURE REPORT …. Collection: Vehicle will have to be collected from Lytham ST Annes, and either towed or trailered due to not having a current MOT. 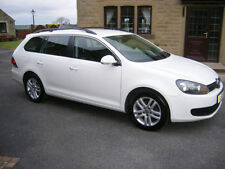 2007 VW Passat Estate TDi 1.9 S: Mileage: 123,380. VOLKSWAGEN PASSAT 1.6 TDI BLUEMOTION ESTATE 2011 BARGAIN NO RESERVE!! USUAL PASSAT EXTRAS MULTIFUNTION STEERING WHEEL. AND MILEAGE RELATED MARKS NOTHING MAJOR GRAB A BARGAIN PASSAT. A VERY NICE CLEAN CHEAP EXAMPLE NO FAULTS OR PROBLEMS NO WARNING LIGHTS. THE CAR DRIVES WITHOUT FAULT. THE 6 SPEED GEARBOX IS VERY SMOOTH. GENUINE CLEAN AND TIDY CAR. THE 140 bhp ENGINE HAS PLENTY OF POWER. IT HAS JUST HAD A SERVICE. PARROT BLUE TOOTH. COUPLE OF BUMPER SCUFFS. VW TOUAREG V10 TDI AUTO 5L DIESEL SPARES OR REPAIRS HIGH SPEC DRIVES BUT ENGINE NOISY/KNOCKY VERY CLEAN CAR FOR YEAR OIRO £1250. 2.0 litre TDI 4 Motion R LINE automatic. Has a parking assist mode. One previous owner. RECENT NEW TYRES FITTED, RECENT MOT CARRIED OUT AND VALID UNTIL MARCH 2020, NEW DISCS AND PADS ALSO FITTED. 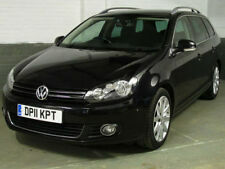 VOLKSWAGEN GOLF ESTATE SPORT TDi 6 SIX SPEED MANUAL. ITS RARE, ITS VERY CLEAN, IT DRIVES GREAT WITH NO KNOWN FAULTS AND IT LOOKS REALLY WELL! 2009 Volkswagen Passat Estate MK6 2.0 S TDI CR DPF. 5 Speed Manual. All the receipts, service book, logbook mots etc are present. The car is very clean inside & outside. Still gives a very fresh look. 6 months warranty, 5 day drive away insurance, Next MOT 11/02/2020, Good bodywork, Full leather interior - Good Condition, Tyre condition Good, Four wheel-drive, 5 seats, Grey, Alarm, Climate Control, Computer, Cruise Control, Electric Windows (Front/Rear), 3x3 point rear seat belts, Air conditioning, Airbags, Alloy wheels, CD Player, Central locking, Electric door mirrors, Heated seats, Height adjustable drivers seat, Leather seats, Remote central locking, Immobiliser, Adjustable Steering Column/Wheel, Seat Height Adjustment, Power Socket,. 2004 VW TOUAREG. Few age related marks. PRIVACY GLASS. ADJUSTABLE STEERING WHEEL. DIGITAL ONBOARD COMPUTER. DIGITAL TRIP COMPUTER. REMOTE CENTRAL LOCKING. HEATED MIRRORS. 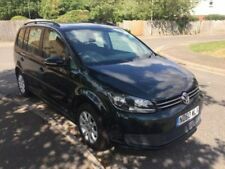 2015 15 VOLKSWAGEN TIGUAN 2.0TDI MATCH 140BHP BLUEMOTION FOUR WHEEL DRIVE 4MOTION, ONE OWNER, BOTH KEYS, VOLKSWAGEN MAIN AGENT SERVICE HISTORY. THIS VEHICLE HAS FULL VOLKSWAGEN SERVICE HISTORY, IT HAS JUST HAD A FULL SERVICE ON THE 21TH OF FEBRUARY 2019 AT SINCLAIR GARAGES NEWPORT LTD ( VOLKSWAGEN MAIN AGENTS ), MILEAGE WAS 144113, WORK CARRIED OUT WAS AS FOLLOWS :-. VW TOUREG V6 SPORT AUTO!!! XPO Motors World - Call us on 441612417060 or click here to find out more. MOT 29/07/2019. RADIO CD PLAYER 6 SPEED MANUAL. FIVE SPOKE VW ALLOY WHEELS. ONLY TWO OWNERS FROM NEW. GREAT CONDITION FOR THE YEAR MUST BE SEEN. ELECTRIC WINDOW FRONT AND REAR. BLACK PRIVACY GLASS HEATED REAR SCREEN REAR WIPER. MOT DEC 2019. VOLKSWAGEN GOLF ESTATE TDI SE. 2008 - 58 REG. 138,000 MILES. 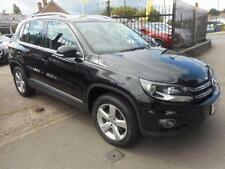 GREAT SPECIFICATION INCLUDING (Mileage is fully warrantied and DVLA verified). WITH FULL SERVICE HISTORY. Non dpf model. 91356 miles with Extensive service history inc recent service and mot ready for sale with no advisory notices, cam belt and water pump fitted last month. This is not your usual high mileage rough example it is in great condition.